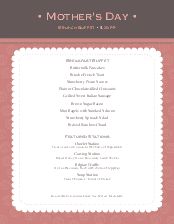 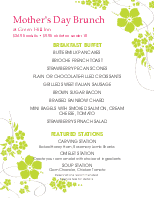 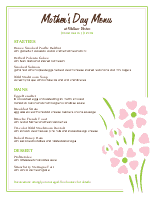 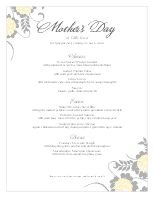 This Mother's Day brunch buffet menu features a white doily holding the menu options. 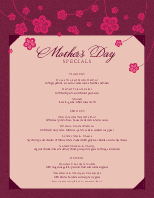 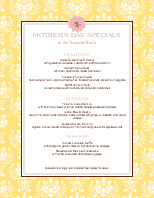 There are sections for all you Mother's Day specials. 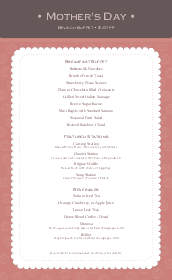 A pink background adds a sweet look. 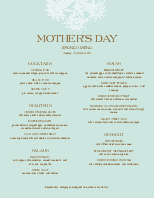 Mother's Day is listed on the top. 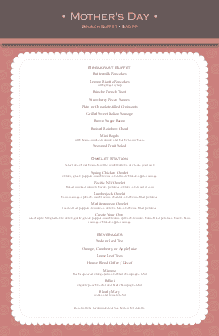 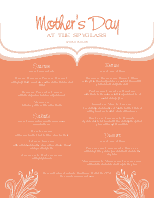 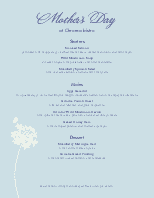 This Mother's Day brunch menu can be updated online using the Menu Editor.